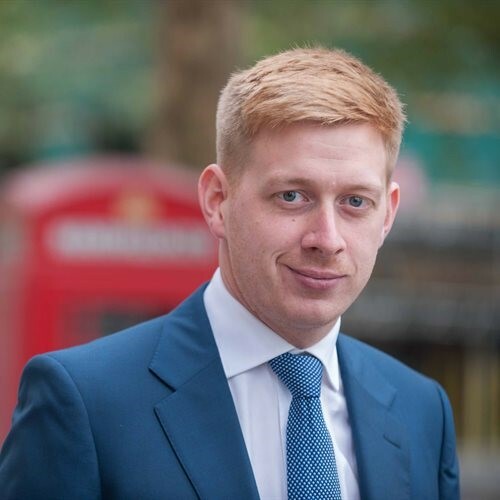 Dr Andrew McFaull is a Teaching Fellow in Accounting and Finance in the King’s Business School. In the Summer, Dr McFaull teaches Business Management, International Business, Accounting and Finance in London and Hong Kong. Over the past few years of delivering summer schools here at King’s, it has become clear to me that the role of the tutor is much more than just teaching and is about delivering a memorable learning experience. The challenge for us as tutors and those who support us as we seek to offer a great summer school is to be aware of what kind of learning experience we want to offer. To answer this question, I believe we need to view it from our students’ perspective and ask ourselves why would someone be willing to travel great distances, often at considerable expense to enrol for only two to three weeks in one of our short summer courses? As a business tutor, I would put this in business speak and term it our value proposition. Yet, what is it? In essence, why do large numbers of students come from across the world to our summer schools each year? It seems to me the only way to deliver the best possible programme of summer learning is to exceed our students expectations and to do that, we must first understand why they enrol on a summer school course. It’s clearly not us personally as tutors that attracts the students. Regardless of our doctorates and other various learned credentials, it is safe to assume that none of our students will have heard about our teaching and/or research prior to enrolling upon our courses. Instead, it is almost certainly the opportunity to gain an education from an esteemed institution with a global reputation that attracts students in their hundreds year upon year. Therefore, we can perhaps conclude that the role of a summer school tutor is to personify the anticipated experiences and related expectations that comes with receiving an education from somewhere like King’s College London. As a broad generalisation, some enrol on our summer school programmes to advance their CVs and ultimately their future careers. Others are visiting us to be challenged intellectually and want a scholarly experience from one of the world’s leading universities. Then there are those enrolled on our summer school programmes who might be termed educational tourists, who are attracted by studying in different city or country for a few weeks. All these expectations are perfectly reasonable. Yet, the predicament we face when seeking to meet students’ expectations and hopefully exceed them to deliver a good summer school, is how do you deliver one course which meets many expectations? The answer hopefully lies in the fact that each of these expectations mentioned before are not directly in conflict with each other and therefore by delivering in one area, we are precluded from delivering in another. 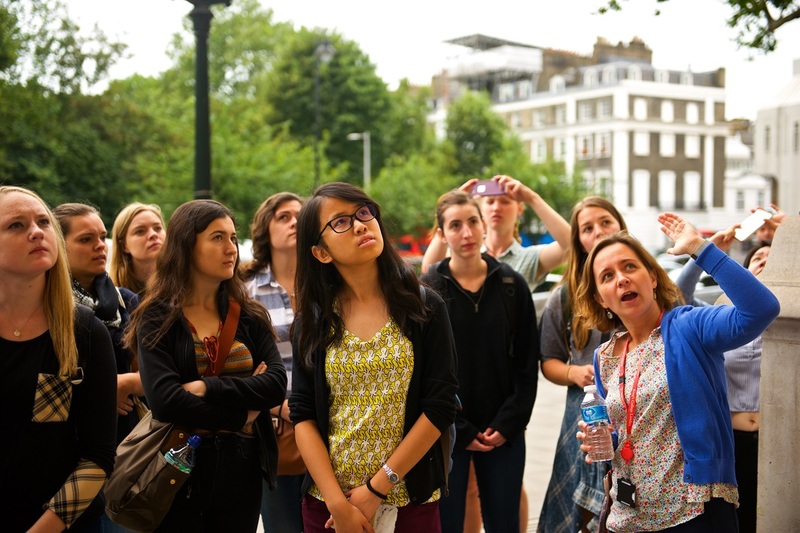 Ultimately, in my mind, our goal in the summer school is to build a programmes of learning which is intellectually challenging, but simultaneously brings in both the King ’s and wider London experience and allows students to achieve their long-term personal and professional goals. This brings me back to my original point that the role of summer school tutor is much more than teaching, it’s about cultivating a memorable learning experience both inside and outside of the classroom and this needs to be co-produced with the student, because ultimately it’s their learning experience. Dr Huw Dylan is a Senior Lecturer in Intelligence Studies and International Security in the Department of War Studies at King’s College London. Dr Dylan is also a Visiting Research Professor at the Norwegian Defence Intelligence School, Oslo. One of the most exciting things about the King’s Undergraduate Summer School is the variety of approaches to teaching and learning that students will experience. This reflects both the scope of subjects on offer, but also the energy tutors put into creating engaging learning environments. This entry, building upon our colleague Dr Diana Bozhilova’s blog post on teaching international relations in this series, offers a brief introduction to our approach to teaching Politics and the Media. For those of us interested in politics and international relations it seems that not a day goes by without some controversy or other concerning what is the truth of a particular situation making the headlines in the press. From the competing narratives offered to the electorate in the BREXIT referendum, to the myriad debates concerning President Trump and words and deeds, to the running series of debates between Russia and the West over a number of issues, including the shooting down of MH17 to Russian involvement in east Ukraine, matters of strategic communication, allegations of propaganda, and charges of ‘fake news’ have come to dominate several areas of our political discourse. This course aims to place many of these issues in a deeper historical context, and to consider carefully how information and messages have been utilised by political power throughout history to further their goals. Our teaching is based on our experience in the Department of War Studies. This department encourages an interdisciplinary and creative approach to studying conflict and war and all associated phenomena. We aim to combine teaching of core concepts and ideas, such as exploring the main theorists or thinkers of propaganda and strategic communications, in tandem with the conflicts or issues that they sought to influence at the time. And then to examine how these ideas resonate today in our contemporary debates. So, we will begin with the ideas of Gustav le Bon, and propaganda in the age of the Two World Wars, before moving on to the Cold War and the post 9/11 world. Students will engage deal with theory and practice, setting the scene for many of the issues we the class will consider during the latter part of the course. The learning outcomes for this short course on Politics and the Media are centred upon the development of an understanding of key subject matter and fostering critical thinking. The class will consider the core components of propaganda and strategic communication narratives in various case studies. Many of these case studies involve campaigns that aimed to convert or entrench the political stance or the voting intentions of a large body of people, and have become contentious. Analysing the construction, delivery, and impact of these various campaigns will leave students equipped to more effectively engage with such campaigns in future, in particular with regard analysing and challenging the competing claims of ‘truth’. A key component of developing these critical skills will be an active consideration of the modern information environment and information technology, and how they both facilitate the propagation and the challenge of key messages. 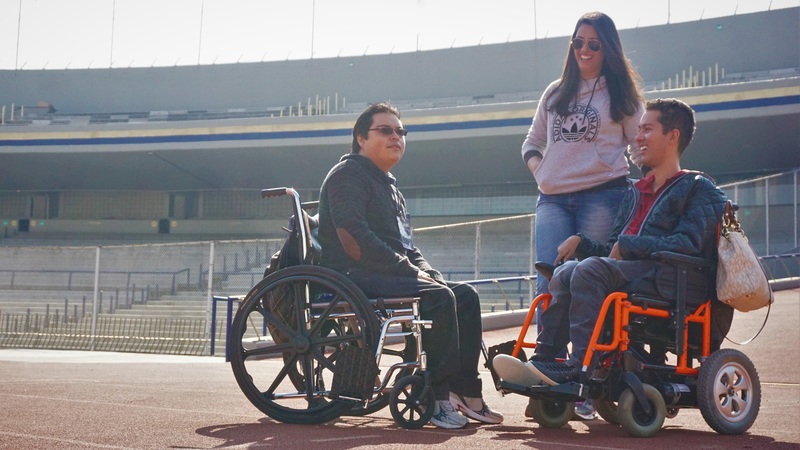 ‘In many areas of the globe, opportunities for disabled students to meet, study and advance thinking on disability and inclusion beyond the confines of national borders are nearly non-existent.’ To change this institutions are developing programmes and working collaboratively to face the worldwide discrepancy of this subject. An example of innovative short term programming, the Dialogues and Disability programme started life in 2013 between Delhi University and King’s, as a collaboration between international Summer Programmes and King’s Disability Advisory Service. The programme focuses on improving the university experience for disabled staff and students and explores topics from inclusion across aspects of university life, mentoring and pathways to success after graduation. This annual programme brings together disabled students and disability professionals, from around the world, to explore the challenges and opportunities faced by disabled people with respect to accessibility and inclusion. 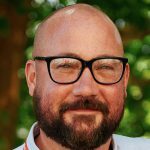 Dr Alexander Heinz, Summer Education Programme Lead and Lorraine Ishmael-Byers, Associate Director (Disability Support and Inclusion) Student Support and Wellbeing Services co-written the recent ‘Transnational Dialogues on Disability’ article published at EAIE Forum magazine. Please visit our webpage to know more about the Dialogues on Disability programme. Recent developments Global HE shows indicators of how short-term programming overseas is increasingly engaging non-traditional students. Short courses present nimble opportunities to broaden access and contribute significantly to the creative pedagogical range of international education. 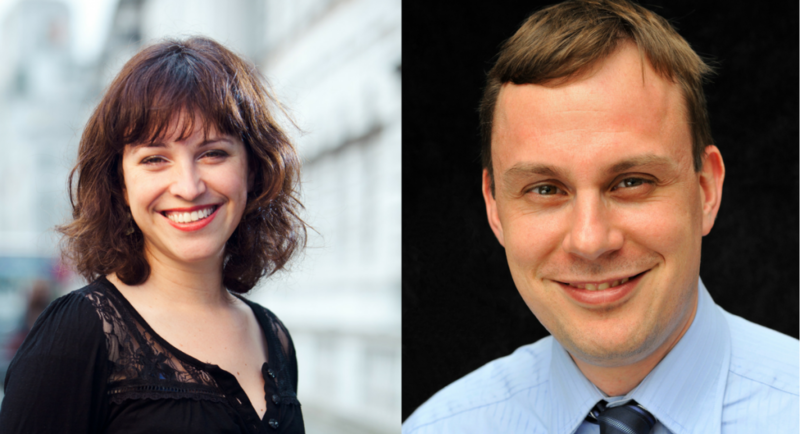 Dr Sarah Williamson, Director of Summer Programmes, and Dr Alexander Heinz, Summer Education Programme Lead will be presenting the ‘Improving Inclusion: Short Courses as an Opportunity for International Education’ workshop at BUTEX Winter Workshop 2018. BUTEX brings together universities, colleges and other HE institutions across the UK that have a shared interest in learning abroad. Its aims include developing expertise and influence the future of international education. We are very pleased to announce that an article in the next edition of EAIE Forum magazine will also discuss ‘Transnational Dialogues on Disability’. What distinguishes a Summer School student? 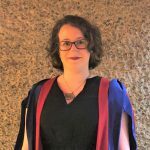 Dr Nicola Kirkby is a ‘Literature in the City’ tutor on King’s Undergraduate Summer School. In SummerTimes she is sharing her observations as an academic who this year taught on a summer school for the first time. It’s a habit among critical thinkers to look for comparisons and contrasts. Throughout the King’s Summer ‘Literature and the City’ module, I prompted my students to explore differences between urban and rural experience, between London and their home town, between Dublin in the 1900s and Paris in the 1920s. From a pedagogical perspective, I was also drawing my own comparisons. Having taught a similar module, ‘Writing London’ in the Department of English at King’s for several years now, I found leading this summer school course for the first time in 2018 a refreshing counterpoint. How do summer school cohorts differ from their term-time counterparts? While there is much overlap (these are high-achieving undergraduates and alumni from universities across the world), I found that our lectures, seminars, and site visits had their own distinct dynamic that has impacted my teaching practice all year round. 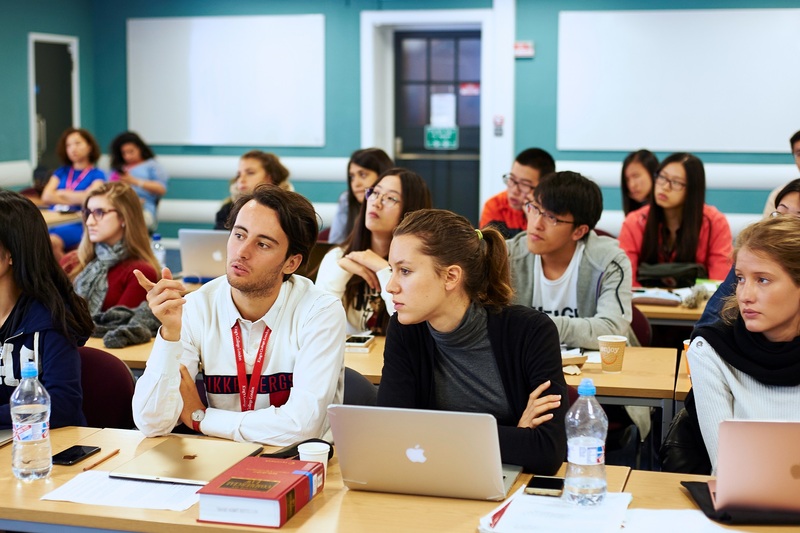 Because they are open to students from any academic discipline, one of the most significant unifying pre-requisites for King’s Summer Programmes participants is curiosity about the course itself. English Literature majors were working alongside scholars with backgrounds in psychology, policy, modern languages, health science, and physics. This was invaluable in a course that interrogated what it means for people from all walks of life to live intersecting, interconnected lives. Our discussions may have focused predominantly on London, but such diversity in approach and experience meant that we were always bringing this city into dialogue with other global capitals, other networks, and other ways of understanding and organising shared space. Thanks to such curiosity, the Summer School provided an ideal environment for exploring experimental ideas. At first, I think that students coming from more didactic learning environments found opportunities to challenge established theoretical approaches a little disorientating. But this approach fits well, both with the primary aim of literary studies: to encourage independent critical thinking, and with summer school learners themselves, who, in their choice to up sticks and study overseas for three-to-six intense weeks are more than equal to taking initiative. There’s nothing quite like leaving your life behind to embark on a few weeks of focussed study in a new place. Attendance throughout the summer school was sky-high in a way that is unparalleled in full-year courses where students often juggle responsibilities to home and work throughout the teaching semester. What I had not anticipated, and what I was utterly delighted to find was the tireless motivation of this group in our daily seminars, lectures, and site visits to places have changed London’s literary landscape. ‘Literature and the City’ is a fast-paced and thought-provoking module, and this year’s cohort impressed me by exploring London, Paris, and even Dublin on their own alongside our Monday-Friday classes. The final distinction is a simple yet important one. Working alongside one another in an intense, discussion-led course helps summer school students build collaborative closeness in a way that would take much longer in a regular undergraduate module. 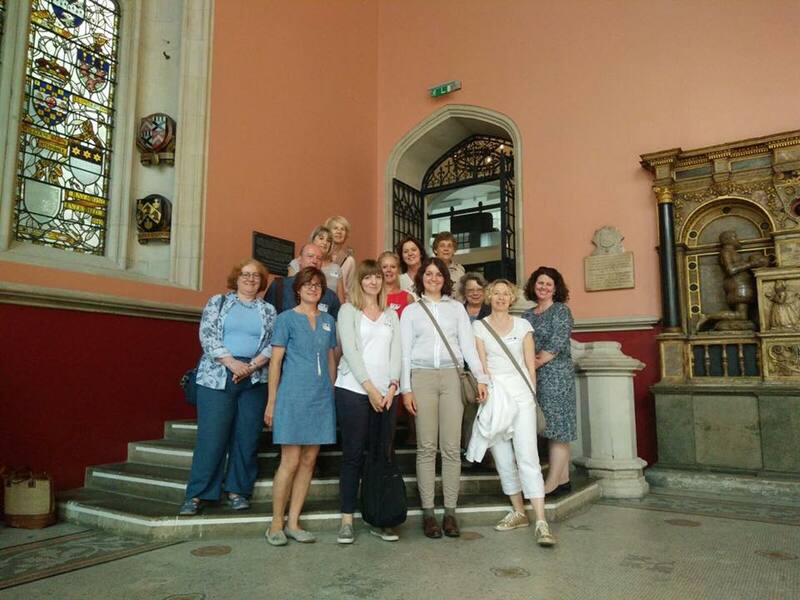 By the end of the programme my ‘Literature and the City’ cohort had expanded their network, forging lasting connections with peers from across the world. 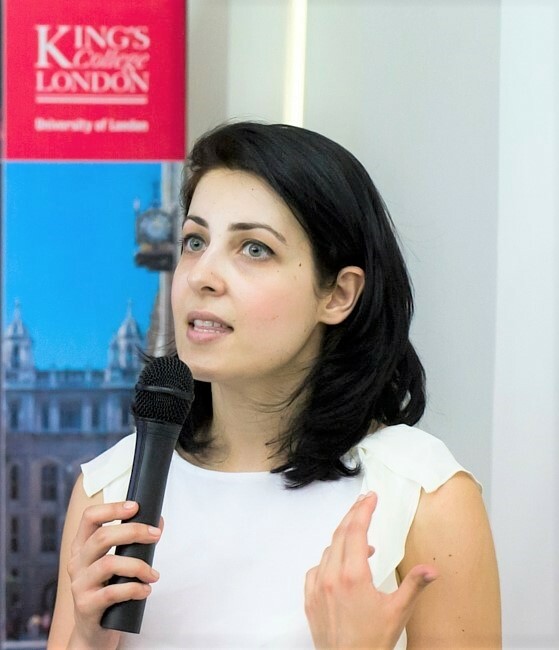 Dr Diana Bozhilova, Teaching Fellow Summer Programmes, brings her lively discussions on the theory and practice of International Relations to our London programmes through her annual contribution to the King’s Summer School Programmes. Political events “crowd” our lives with increasing dynamism. This leads to greater interest in the study of International Relations (IR) as a means to explaining ethical questions, consequentialist and deontological reasoning. As a result, normative IR is still very relevant but how do we teach it within short courses for highly mobile and technologically astute young audiences for whom time is of the essence? My experience of teaching IR has been one of focusing on core concepts and methods. Short courses allow for selecting “relevant” blocks on which to scope attention in order to critically appraise a particularly impactful development in international relations. Take Brexit, Russia or China for example – separately, they challenge aspects of the liberal international order established during the “American” century and contribute to the sense that something rather big is afoot. For normative IR, this means a conceptual and methodological shift being under way. The learning outcomes for short courses in IR centre on developing critical thinking and analytical capacities that enable students to transform information flows into knowledge. I would never forget how on one of my travels to India and whilst occupied with thoughts about the impact of technology on the study of IR, a friend from Mumbai remarked: “Google cannot help find your slippers in the temple.” Technology is an information enabler but normative IR provides roadmaps that transform data flows into meaningful building blocks. Games and simulations increasingly infiltrate IR pedagogy. On the one hand, those opposed to such dynamic teaching models emphasise their inevitably reductionist approach to understanding normative IR through diminution of variables, thus confining discussions to basics at the expense of the vastness of paradigms and approaches that exist in the discipline. On the other hand, their great utility lies in adapting static theories to dynamic teaching models. This has a particular advantage for international audiences who would like to see how theories apply within different geographic and institutional settings. Simulations can involve structural constructs from diplomacy and negotiations, economic development and governance reforms, management of warfare and environmental crises. They are well suited to short courses, dedicated sessions, and blended learning models. King’s Summer Programmes will be participating at the 30th Annual EAIE Conference and Exhibition in Geneva, Switzerland which will take place from 11th to 14th September 2018. Dr Sarah Williamson, Director Summer Programmes, will be speaking at a leadership and strategy workshop titled Summer school euros: costs, resources and business models, where she will discuss different business models for summer schools, including their relative advantages and disadvantages and how to determine which model fits best with your institution’s strategic objectives. 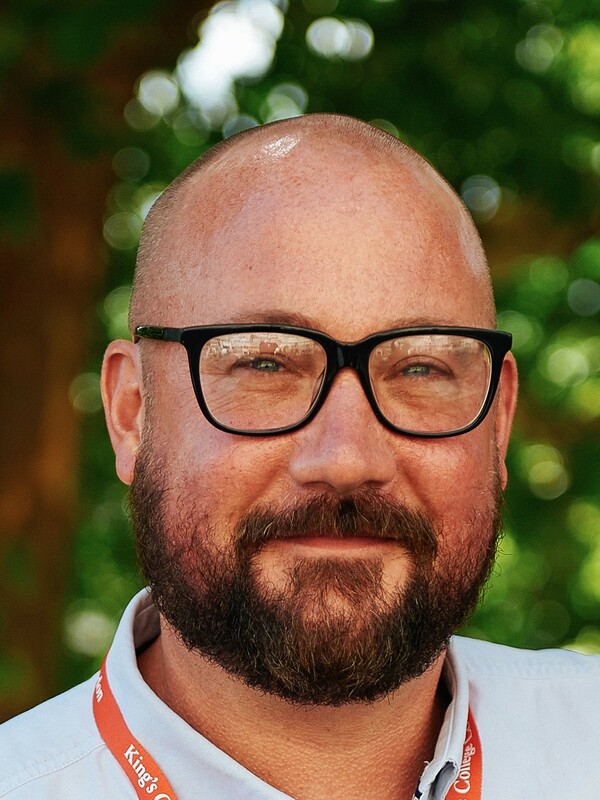 Dr Williamson is also a speaker at the session titled All eyes on us: how established summer programmes overcome challenges which looks at challenges facing successful summer schools. 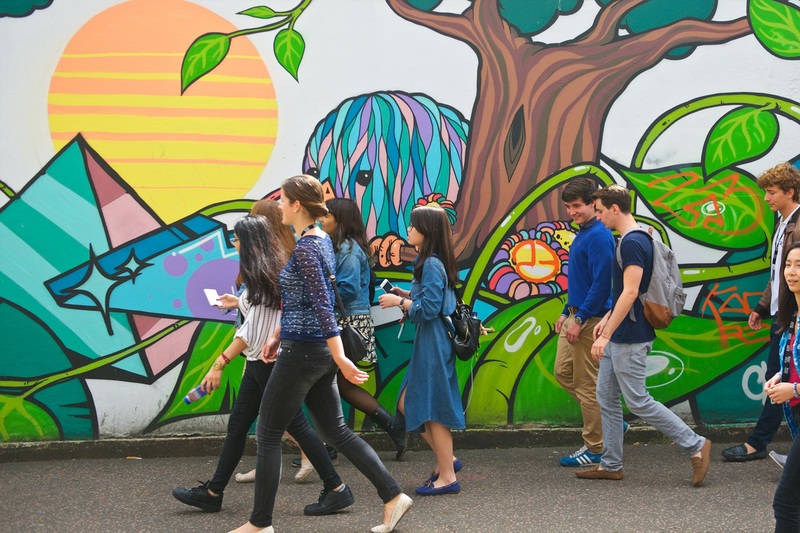 Joint summer schools: Win-win or double trouble? 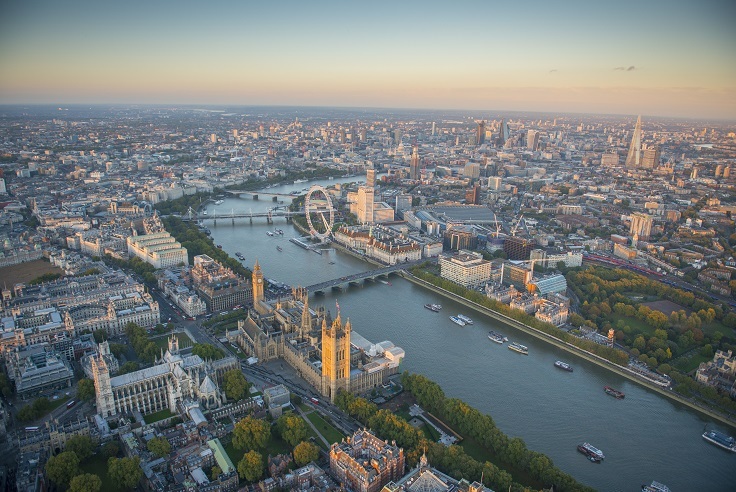 is the title of our poster presentation by Dr Alexander Heinz, Education Programme Lead Summer Programmes, showcasing a live London–Amsterdam case study. He will also be participating in a networking and learning event known as the Summer Schools health clinic as a summer school doctor. 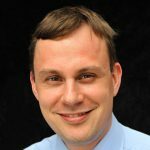 We are very proud to announce that Dr Heinz has been voted as the incoming Vice Chair of the Summer Schools expert community, an EAIE forum for all things related to running and establishing summer programmes. 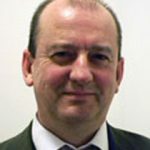 Ian Fielding, Deputy Director Summer Programmes, will be meeting with partners to discuss feedback and provide updates and developments on the undergraduate summer school and summer exchange programme. Ian would also be delighted to hear from other universities interested in our partnership agreements or our Summer School and Education Abroad planning and design services. Make sure you drop by our Summer at King’s exhibition stand (G22). If you are not physically attending the EAIE conference and exhibition but still want to stay updated with our news you can follow us on Twitter @KingSummer. Further information about EAIE can be found here. Dr Sarah Williamson is a university director, specialising in institutional business development with expertise in international education. She has 16 years creative programming experience in Higher Education, the last 10 of which have been spent leading and providing consultancy services on innovative institutional education projects that transform the educational portfolio of higher education institutions. 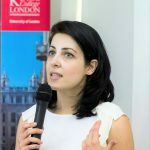 At King’s College London, she is leading the university’s strategy to grow a summer portfolio of education projects on campus and overseas that support education abroad initiatives and research project knowledge transfer/public engagement intentions. 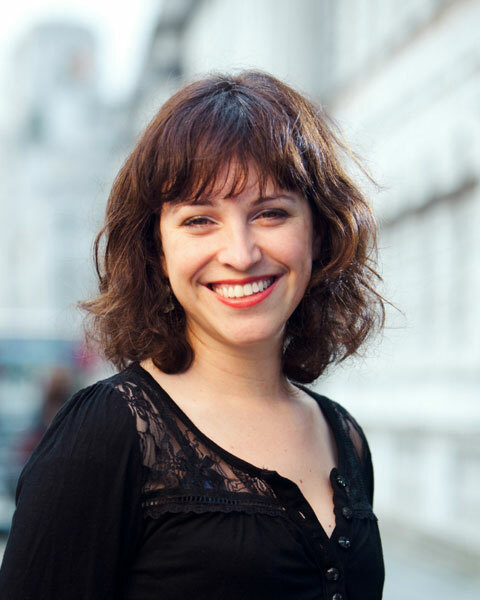 Before this, she was the inaugural Head of Study Abroad (2009-14) and the architect of King’s study abroad strategy and programming. Cities, like universities, are the sum of their parts and London, like King’s, is very much a product of its people. London’s citizens have long built bits on, growing the city outwards and upwards not on any grid system, but expanding it organically from its medieval footprint. London is not a city that was built then the people moved in; they built it from the inside out. That’s the kind of city London is. It has a mindset that resists definition and a momentum that evolves in ways that are too exciting to be corralled. Just how London has been shaped and honed has become even more apparent in the last 20 years. Glorious, majestic spaces, like Somerset House, have been reclaimed as public spaces, becoming areas for public thinking and doing. Those reclaimed public spaces now influence public discourse and from there the city self-defines its future development. A city is a thinking space and the university within the city is an ideas lab, where those thoughts are grouped together to become ideas and shaped into actions. Everyone who comes to London comes knowing it has a life blood that its citizens both create and draw from. This is what makes it such a strong magnet for creative thinkers and therefore creative learners. To be connected with and submerged into the flow of the city was always an elemental component in the makeup of our academic summer programmes at King’s. London is our classroom not just because it is our location; it’s because it is our inspiration and definition. It’s an ever-greater co-contributor to the summer classes in our sector-leading programmes. For those seeking a starting point more profound than a traditional tourist route, having a chance to explore the city through applied study is strongly attractive. No student focused seriously on their academic career doesn’t think very carefully about how they, as global citizens, as global thinkers, will need to understand and use the city in their future as they become workers in their fields. But how to do this if you live elsewhere? What can you do to count yourself amongst the number of Londoners making waves in the world if your postcode is usually well beyond the M25? One neat answer is to join a summer programme at King’s. 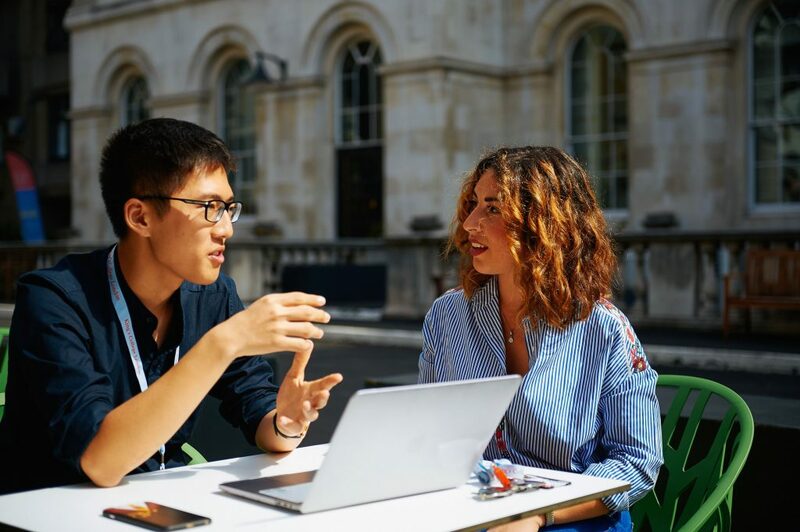 Short courses, run on King’s campuses over the summer season give a compact but powerful injection of intellectual rigour and dynamic personal development embedded so firmly in London’s ecosystems that your credentials as a Londoner become as established as they do as a King’s alum. 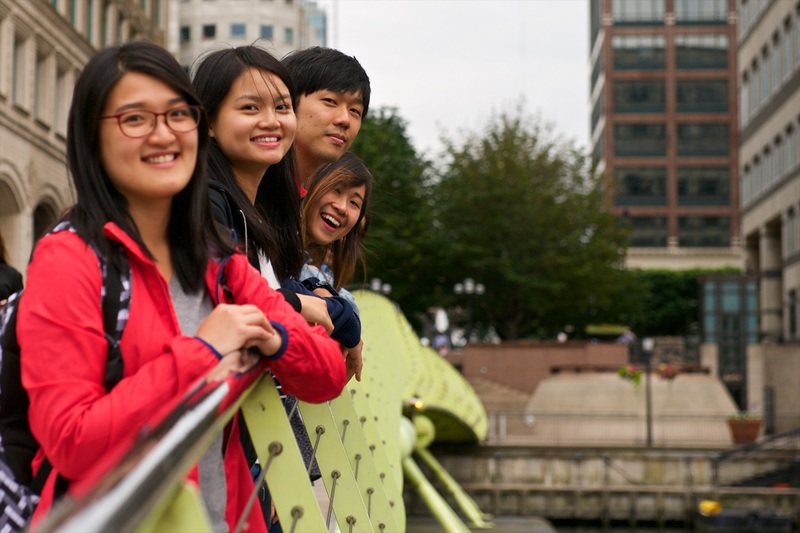 All of our 1,800 summer alumni this year will have explored their subjects with the help of London. 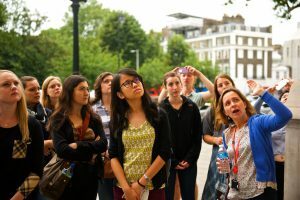 Academic excursions, guest speakers from across London’s industries enrich the London campus-delivered academic content of courses. From the Victoria & Albert Museum, historic Fleet Street or crowded Brixton. A diverse range of places and encounters await the summer student and life-long Londoner alike. 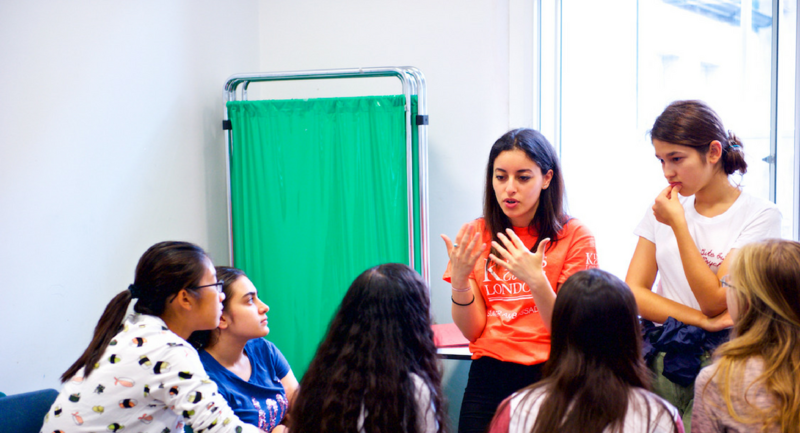 London can be a gateway to the wider world through its London headquarters of global powerhouses like the UN Refugee Agency, teachers on our Human Rights undergraduate summer school. Our popular and long-standing summer module “Museum of London: Curating the City” with daily sessions at the museum led by its curators, is a passport behind the scenes of one of the capital’s most innovative museums. What do the collections—ranging from art to architecture, fashion to film, music to media, giant fatberg!—tell us about London over the last century? What sorts of histories do these collections tell? What stories do they leave untold? Who are the people choosing these collections and making particular stories public? 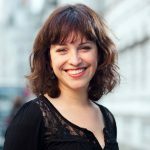 What is the impact of their decisions on London’s present-day reputation as a centre of creativity and cultural exchange? For an intellectually challenging, often assessed summer school, this is never about glorified tourism. 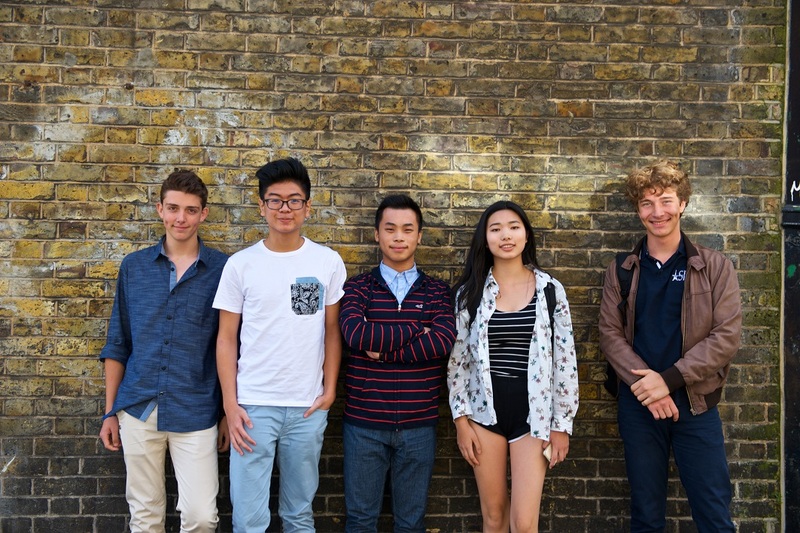 With its highly international King’s summer student population from more than 50 countries, London connections need to be academically meaningful and relevant. Rather, it is the case that lecturers explore their subject through the prism of London in undergraduate-level courses such as London & Film, where London as a cinematic city, the divergent spaces of London, and the capital’s relationship to film genres are explored in turn. Students reflect on the relationship between London, the advent of moving images and the birth of the cinema industry; the cultural role of cinema within the capital through the strength of its institutions, among them Film London, the National Film Theatre and the British Film Institute. London is both, a ‘realist’ and ‘fantasy’ wonderland. The evolution of London (as relayed on film) as a thriving urban space marked by increased gentrification, cosmopolitanism and architectural redevelopment is considered as well as the restaging of London’s cityscape as the set for blockbuster cinema. Inviting new audiences to King’s, Dr Alana Harris, Lecturer in Modern British History and convenor of a group looking specifically at the integration of London in the learning experience, is this year for the second time leading a King’s Summer Weekend course with The National Archives. This weekend course is for everyone who wants to expand their research into their family tree. It combines instruction on practical researching techniques with academic insight into how key historic events shape stories across generations. Those that are interested can read more about this in a recent King’s SummerTimes blog post written by Mark Pearsall, one of the course contributors from among The National Archives staff. 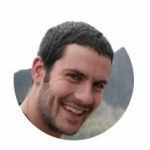 He describes how this summer collaboration led to a podcast on the Public Record’s Office history in what is now King’s splendid Maughan Library. The city defines its history through its people’s stories. The university defines the city through its understanding of those stories and equips its citizens to continue to draw out their ideas of how the city will evolve in the future. Late June. Birdsong early in the morning. Sunrise by 5 am. Lazy evenings that go on and on to the point where you realise you should have gone to bed an hour before. (But it’s light till so late!) People start dropping into conversation that they are heading off on their holidays soon. The tabloid press is obsessed with swimwear. And universities across the world are readying their halls to welcome their summer students. 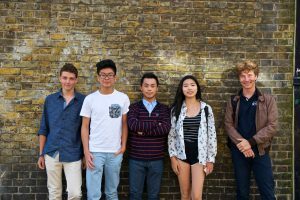 At King’s, now in its 9th year, the summer school has grown into a full portfolio of programmes. More than 1,800 people are poised to enrol and embark on what at any other time of the year would be described the start of term. They are coming from all over. The summer has always been a moment in the year for new experiences and adventures. And for cerebral beings, that can mean relocating for a few days to several weeks and flexing their intellectual muscles in the community of learning that is King’s College London. I’d like to say that there is something for everyone, but if the Internet has taught us anything it’s that there’s some pretty select areas of interest in human society! So, I’ll simply say that there’s an impressive range of classes on offer; a range that works hard to give the world a taste of the research and learning that is the fabric of King’s everyday. A range designed to peak the interest of you out there in the ether and beckon you in to join in the discussion. 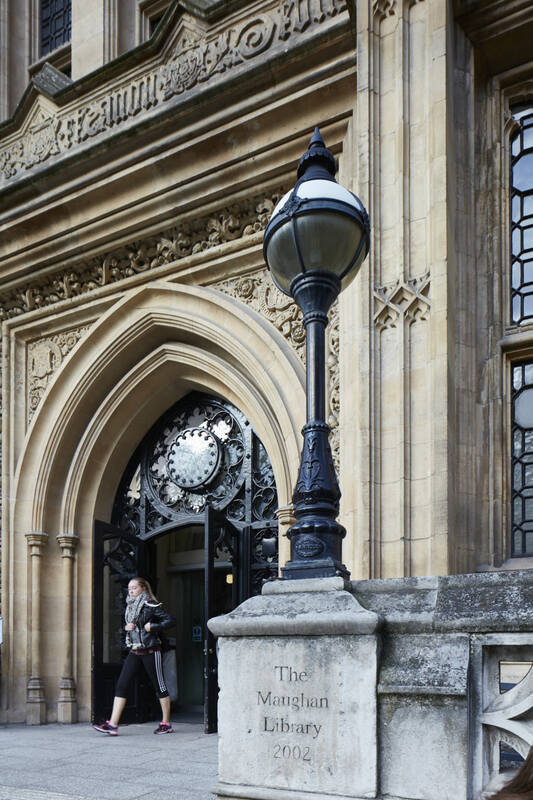 From Healthcare and Technology to Ancient Greek, Psychology to Politics, King’s College London is in the happy position of being a specialist-generalist research institution, so we are luckier than most when it comes to putting together options for summer students. This year’s Pre-University Summer School participants certainly think so! 600+ of them, all high school students aged 16-18, will be heading to class to explore engineering, politics, science, history and literature, and so on. That’s 600 developing minds filled with ideas and opinions and ready to shake things up. Where better to do so than at one of the best universities in the world?! Education abroad courses are also in the portfolio. King’s has long championed studying abroad as a stalwart of an internationalised curriculum and this year we kicked off the summer study season with a course that uses Berlin as its classroom. 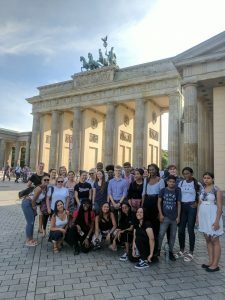 50 students studying for King’s degrees flew out to explore civic engagement Berlin-style, taking a journey through the social, economic and political change in Germany. A key component of this course and many of our other summer courses has been exploring ideas around personal agency and asking how people exercise their personal agency to bring about changes in their communities. Not only is this line of inquiry a direct arrow into the heart of our university motto, “In the service of society” but also heralds King’s institutional strategy around “Service” that’s due to be published in the new academic year. Education is a cornerstone of personal empowerment and there’s nothing like a truly international classroom to bring the richest of learning experiences to campus. One of the fascinating areas of any discipline is understanding transnational perspectives and their application within research hypotheses. And the summer classroom, with its intensive learning format (the summer is only so long!) leads the way on active learning. Increased contact time and an emphasis on experiential learning via practitioner speakers and academic-led site visits means that learning is intense and truly flavoursome. What the short course format of a summer education course loses in extended personal reflection time, it gains in peer-to-peer debate and a fearless critical thinking-infused classroom. 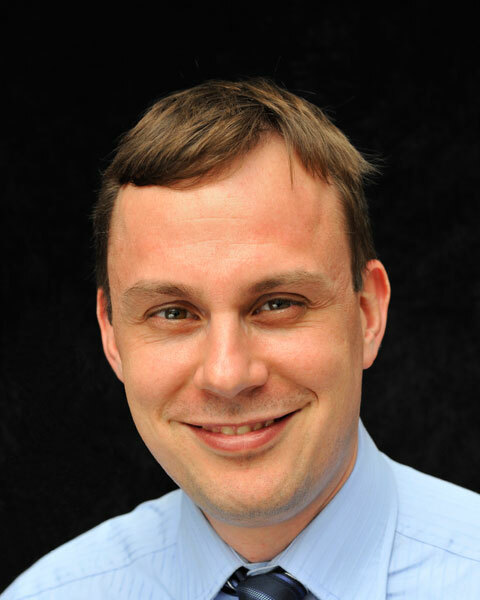 Mark Pearsall of The National Archives works in Collections, Expertise and Engagement. He worked previously in Birmingham Local Studies library and city archives. He has worked in several departments at The National Archives since then, mainly in reader services and records departments. During that time he has produced various guides and finding aids to the records and a number of publications including “Family History Companion”, and co-authored “Family History On The Move” and “Immigrants and Aliens”. 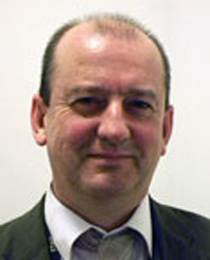 His research interests include nationality and citizenship, parish history and administration and local government and county administration. As part of his job he give talks to family and local history groups, and other organisations and societies about the records in The National Archives and how to access them. 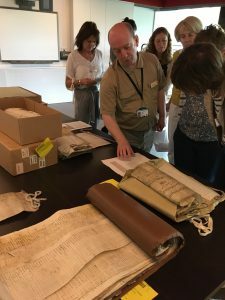 King’s College London and The National Archives came together last year to hold a family history summer weekend in August. 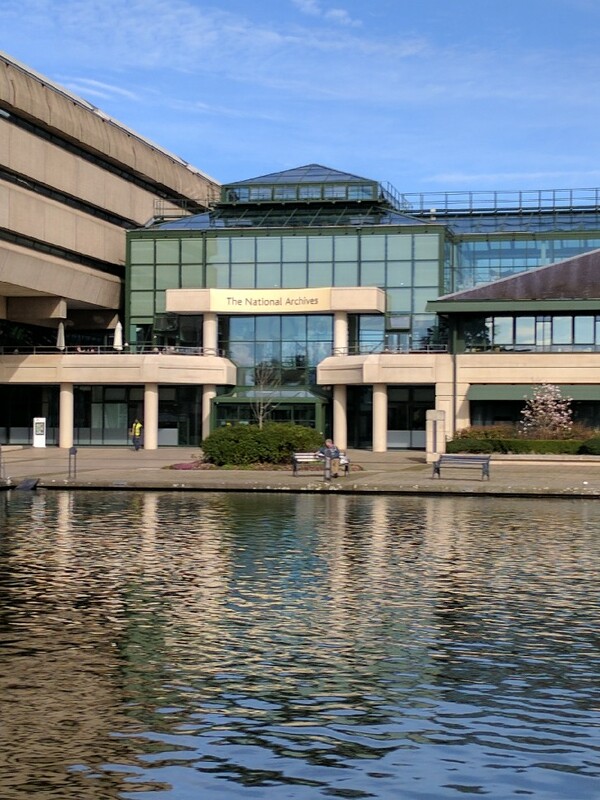 The first day was held at The National Archives in Kew and the second day at King’s. Maughan Library in Chancery Lane is the building that housed the former Public Record Office (PRO), predecessor of The National Archives until 1996. 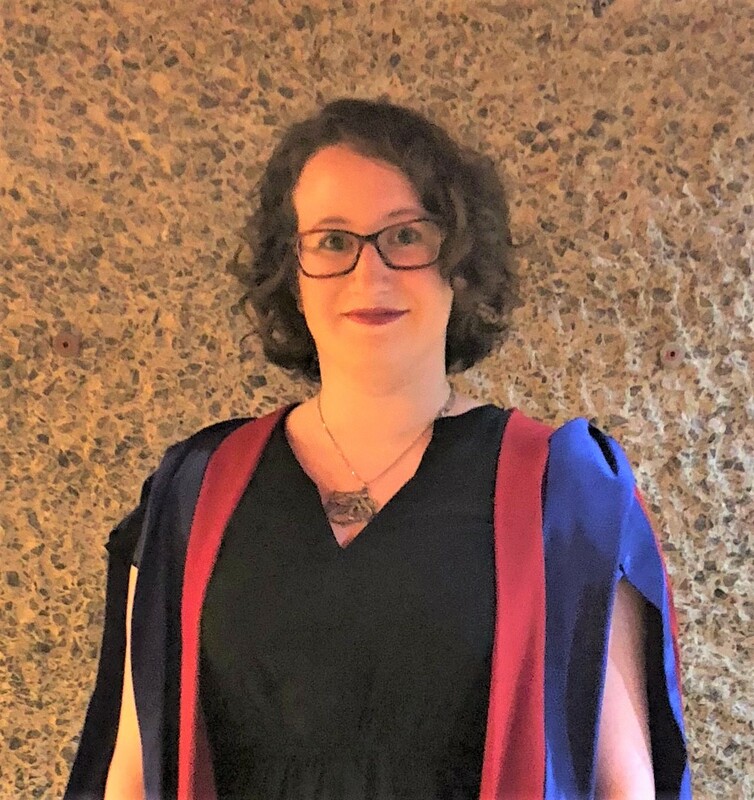 Whilst collaborating on the King’s Summer Weekend with Dr Alana Harris from King’s History Department, we developed the idea for a podcast on our institutional history in the old places that King’s now occupies. The podcast will be available from autumn to all King’s students, used in history teaching, but also available as outreach material to anyone in the King’s community. 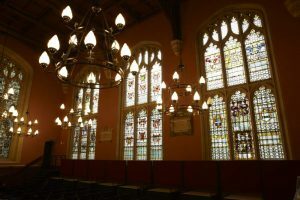 Last summer, we went to look at the Weston Room, which used to house the PRO museum, but which was built on the site of the medieval Rolls Chapel. King Henry III founded the house and church of the converts (Domus Conversorum) in 1232 in the street called ‘Neustrate’. Chancery Lane was originally called the ‘New Street’ and was made by the Knights Templar to run from their Old Temple in Holborn to the New Temple by the river Thames. The buildings were erected in 1232-33 and two chaplains appointed and the first Jewish converts admitted. In 1371 William Burstall was appointed keeper of the house of converts and he repaired the house, chapel and other buildings at his own expense. Burstall also became keeper of the rolls of Chancery, and in 1377 the house of converts was granted by Edward III and confirmed by Richard II to the keeper of the rolls of Chancery. From then on the keeper of the rolls was also the keeper of the house of converts. The house became the residence of the keepers or Masters of the Rolls until 1837. The house of converts was pulled down and a new house for the use of the Master of the Rolls was built under the direction of architect John Campbell between 1717 and 1724. The Rolls Chapel was also repaired and improved at the same time. The Rolls House as the official residence of the Master of the Rolls became the main office of the new Public Record Office in 1838 and the Rolls Chapel had long been used for the storage of Chancery rolls. Most of the records were moved out on completion of the first block of the new record office in 1856. When the Public Record Office was extended in 1895 it was decided to demolish the Rolls Chapel. In its place a new museum was built of the same dimensions, and incorporating some of the monuments from the chapel. Three of the large monuments were re-erected, two of them in their former positions. Three memorial tablets were re-affixed to the walls and some of the old glass added to the windows on the south side. The burial vaults below the floor of the old chapel were enclosed in concrete. 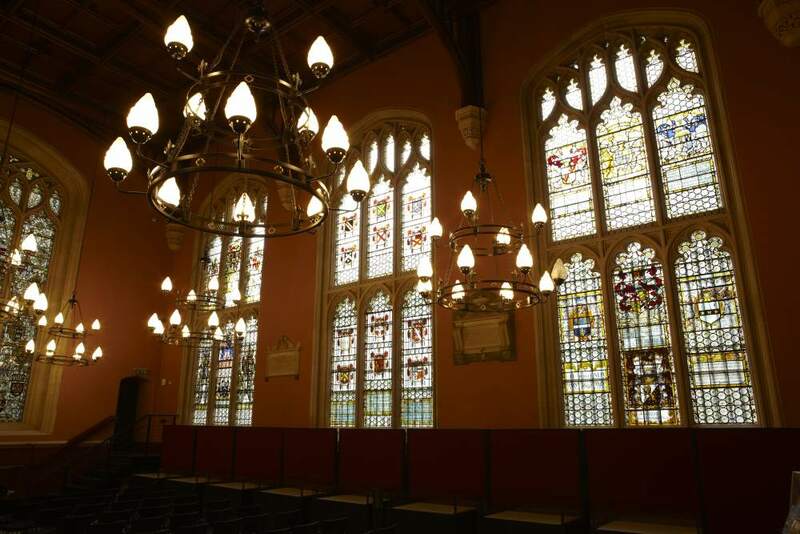 The new museum opened to be public in 1902 and is now the Weston Room of the Maughan Library. King’s Summer Programmes and The National Archives will be holding their second family history summer weekend on Friday 3rd and Saturday 4th August 2018. The course as last year is designed to stimulate and challenge the participants and take them beyond the computer and the basic resources of birth, marriage and death certificates, census returns, and parish registers. Much can now be done online to build up a basic family tree of names and dates taking you back at least to the beginning of the nineteenth, or the late eighteenth century. Going further back can depend on the survival of original records and knowing what resources are available to the researcher to augment the basic names, relationships and dates. The summer weekend will provide research techniques and academic insight. On day one at King’s, Audrey Collins of The National Archives and Dr Alana Harris of King’s Faculty of Arts and Humanities will cover the fascination of family research to find the stories behind the names and dates, exploring key themes such as class, professions and occupations, migration and place, putting the family in its social context. 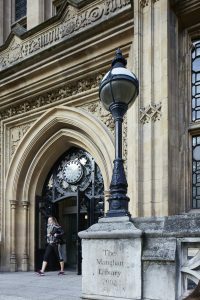 At lunchtime we will take participants on a visit to the Maughan Library. After lunch, Dr Denise Syndercombe-Court will discuss the value and the shortcomings of DNA analysis in what proved last year to be a very stimulating and thought provoking session and should be so again. 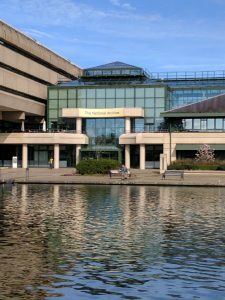 Day two will be held at The National Archives, Kew where I will talk about undertaking research in the archives and there will be a behind the scenes tour. Audrey and Alana will run a session on female ancestors and how to trace their lives and put them into a social context. The afternoon will be given over to research in the archives and surgeries to discuss specific topics and research methods. We aim to inspire people to undertake further and more fruitful research into their family histories. The registration deadline is 20 July 2018. For further information please visit the webpage.